Australia’s broadband market is usually narrowed to ‘The Big 4’ – Telstra, Optus, iiNet and TPG. These four are singled out for the size of their network of DSLAMs – large mainframes, built into Telstra exchanges, that connect back to a unique network spanning the country – and under the ocean. Everyone else buys their access off these four (mostly Telstra and Optus), so they’re often seen as the top tier wholesale providers. But there are two other networks that are growing, even with the NBN coming in to change the fundamental way the entire market works. These are Primus (who are part of the M2 Communications Network) and Eftel. 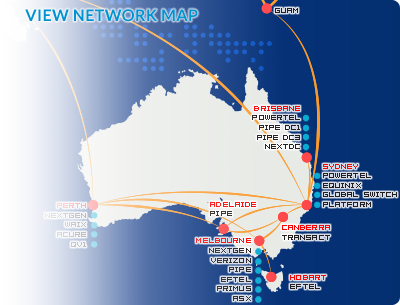 Eftel’s own network is not huge – it connects to only the 70 largest telephone exchanges in the country (mostly metro Sydney, Melbourne, Brisbane and Perth), but where it does connect, it provides the absolute best bang for your buck – the most value at the cheapest price. Eftel has been going through some changes lately, and in turn have simplified their plans greatly. Some of their best plans have been reserved for their Club Telco brand, which has been developed to appeal to seniors and rural customers, with a mix of plans and conditions that make both light use and regional broadband a little more affordable. For their direct retail plans, Eftel offers the Duo Range – big plans with everything thrown in. For $80 a month, the Duo Ultimate includes unlimited data, unlimited landline and mobile calls (with 13/1300 numbers charged at a flat 28 cents per call) and for a limited time, a free connection with just a 12 month contract (normally $69). They’re also usually keen to throw in free hardware – for the last few months it’s been a free Android-powered tablet. For those who just need the line on for broadband, and who don't need calls included, the Duo Unlimited is $70 and includes unlimited data with no free calls. Hardware is not included, but their modems are cheap; $60 for a standard Wi-Fi enabled modem/router, and $90 for the same modem with a VoIP gateway. Delivery is $16. For mobile broadband, Eftel is not particularly unique; like most providers who aren’t Telstra or Vodafone, they use part of the Optus 3G Network. But their rates are very competitive - $55 for 15GB . More importantly, Eftel does the right thing and will not charge for over-usage (a trap that can really ruin your whole year) – but they will shut you right down. No slower speeds or limited access- Your connection will stop dead. Make sure it’s worth this risk before signing up for mobile broadband. As described before, Club Telco is a closely related offshoot of Eftel, but with a broader scope. Club Telco uses a membership model rather than contracts, in a bid to attract customers who move around, or otherwise don’t want to be in a long term commitment. Club Telco also offers a very straightforward three tiered structure: if you’re connecting to Eftel’s network, they will offer you Unlimited ADSL2+ (including line rental) for the absolute lowest price in Australia - $55 a month (TPG is $60 a month). If you’re connecting to the Optus network, they will offer you the same plan for $70. That’s where most providers end it – if you’re in a Telstra-only zone, they won’t offer unlimited plans at all. But Club Telco pulls out some magic to offer the same plan for $90 – which is what all large plans cost from all providers when connecting in rural and regional areas; Club Telco is just one of the only ones to give you Unlimited Data. It’s unclear how the relationship between Dodo and Eftel works. Eftel might own part of Dodo. Or Vice Versa. Or they just work together a lot. But their plans are almost identical; Eftel just has a better reputation for customer service and support (as does Club Telco). 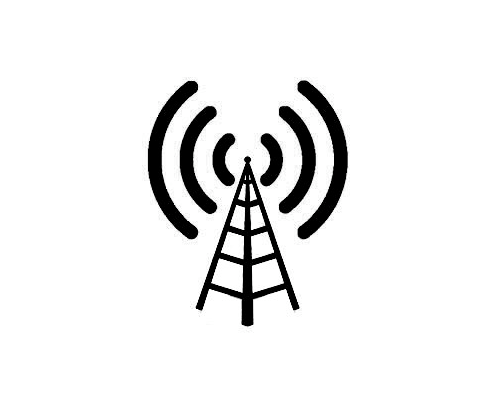 Nevertheless, it should be noted that Dodo offers almost everything that both Club Telco and Eftel offer, as well as several other service (gas, electricity, mobile, etc). Dodo is making a determined effort to rehabilitate their troubled image, and overall still offer some of the best broadband, phone and mobile plans available. TPG is still overall just a slightly better proposition than Eftel and its associated brands – but it’s mostly dependent on what you need. Their $80 plan includes a free modem and free 13/1300 calls – but there’s a 24 month contract and a connection fee. But they’re far more widely available for their best plans. But they don’t have as many good options for plans outside of their network. But they come with free Frozen Yoghurt, which they call Froghurt! Anyway, TPG is still the best option for most customers who need unlimited data, little fuss, and short contracts. Just beware their steep setup fees on 6 month contracts - $120 plus hardware costs (if you don’t already have a modem). Worth mentioning - much of Eftel's network is made from pieces of TPG's wholesale network. Make of that what you will. Eftel, directly and indirectly through Club Telco, offers the only other comprehensive alternative to TPG in the budget end of the market. For rural customers, Club Telco offers the best deal for a big, heavy use connection. Call us on 1300 106 571 for general enquiries and to see which providers are available in your area!